« Advance CTE Spring Meeting: Early Bird Registration Closes Next Week! What does technological education look like in Toronto/Ontario? Technological education in grades 9-12 is guided by Ontario’s Ministry of Education curriculum documents,Â Technological Education, 2009. 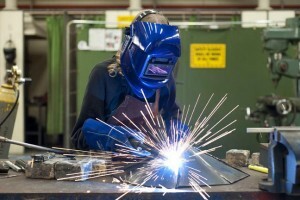 Â Programs are offered in communications technology, computer technology, construction technology, green industries, hairstyling and aesthetics, health care, hospitality and tourism, manufacturing technology, technological design, and transportation technology. Course work focuses on broad-based technologies (grades 9 & 10) and areas of emphasis (grades 11 & 12). When technological education programs are packaged with cooperative education, students have the opportunity to transfer learning from the classroom to the workplace by further developing and refining skills. This enables students to gain hands-on experience in the subject area and explore careers in a specific industry sector. Technological education programs lead to all exit destinations including the workplace, college, university, and apprenticeship. Students in cooperative education, who are working in skilled trades, may register as apprentices through theÂ Ontario Youth Apprenticeship ProgramÂ (OYAP), a joint partnership between the Ministry of Education and the Ministry of Training, Colleges and Universities. What percentage of the student population participates in technological education? Technological education is offered in eighty-six secondary schools in the TDSB. We are the largest provider of this form of experiential learning in the country. Any student transitioning from grade 8 to grade 9 may select the broad-based introductory course, Exploring Technologies (TIJ). At the secondary level, there are over two thousand sections/classes running during the regular school year and approximately twenty-seven thousand students participate in any of the broad-based programs and/or areas of emphasis courses. Which sectors/fields of studyÂ are most popular with students? The Ontario curriculum is aligned with current economic industry sectors. While there is substantial interest in all technological education programs, participation rates are frequently dependent on specialized school facilities. Transportation technology, hospitality and tourism, and hairstyling and aesthetics are popular among students, as demonstrated in the TDSB course enrolment data. More and more, the integration of technological education with other areas of study is emerging as a trend. Whether it’s communications technology supporting transportation diagnostics or the application of mathematics in construction classes, technological education is most effective when supported through a cross-curricular, contextualized framework. 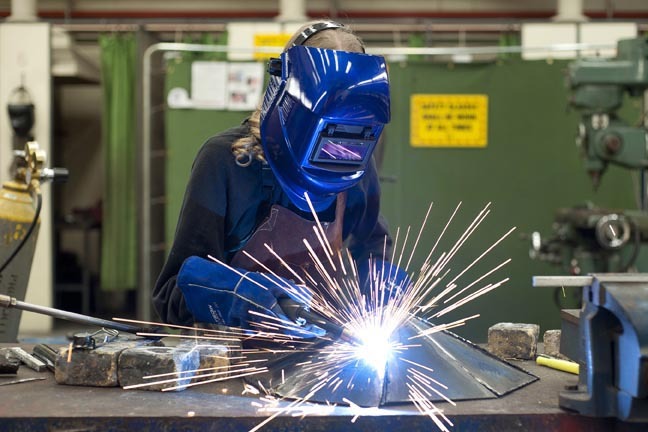 TheÂ academic versus vocational demarcationÂ is beginning to blurÂ and this is paramount for students who aspire to take on a career in skilled trades and technologies. How is technological education funded in Toronto? Like all Ontario curriculum, schools deliver technological education by way of the Ministry of Education’s funding model. Students participating in Ontario Youth Apprenticeship Program are additionally funded through the Ministry of Training, Colleges, and Universities (MTCU). MTCU also supports students through funding to complete their Level 1 Apprenticeship training, through a Training Delivery Agent in an approved sector of the skilled trades. Read the full post on Education Week’s Global Learning blog. This entry was posted on Thursday, April 7th, 2016 at 11:49 am	and is filed under Uncategorized. You can follow any responses to this entry through the RSS 2.0 feed. Both comments and pings are currently closed.